The Roughnecks fell 11-7 to the Colorado Mammoth in a New Year’s Party last Friday at the Scotiabank Saddledome. Four different Roughnecks took turns in the face-off circle against the Mammoth, with Tyler Burton taking the majority. Garrett McIntosh (1), Wesley Berg (1), and Zach Currier (2) were the others to take a draw. As a group, they won just under 61%, an excellent performance. The 12 face-off wins by Burton helped him surpass 500 for his career. Something the Roughnecks struggled with last season, collecting loose balls has been an area of success early on. The Riggers have picked up 231 loose balls so far this season — an average of 77 per game — which puts them in third place in the league. In Friday’s game, Calgary was aggressive and active in trying to get every ball. They finished the contest with 90 loose balls, 23 more than the Mammoth. With the strength of the forwards across all teams in the NLL, giving them an advantage is a sure fire way to give up goals more often then not, no matter how good you are on the penalty kill. On Friday, Calgary handed the Mammoth seven powerplay opportunities and the visitors made them pay. Colorado scored on five of their chances, with three of the goals coming in the second half. The Roughnecks will be looking to generate more offence – consistently – going forward. 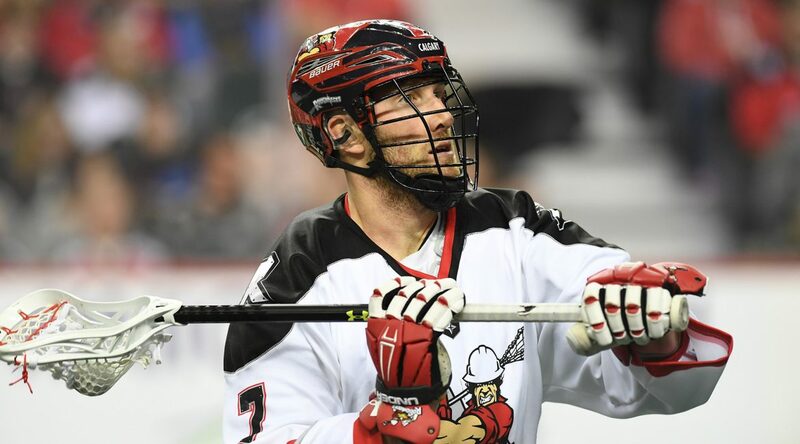 Even with a 15–goal outburst against the Vancouver Stealth in their home opener, the Riggers have scored the fewest amount of goals in the NLL. Their 28 goals puts them a goal behind the Stealth and 21 goals behind the first–place Rochester Knighthawks. One positive of the Roughnecks offence has been the consistent goal scoring of lefty Riley Loewen. Expected to take a step forward in production with the departure of Jeff Shattler, the fifth-year man has already netted six goals this season. At his current pace, Loewen is set to easily surpass his career-high goal total of 17 goals, which he recorded in his rookie season.